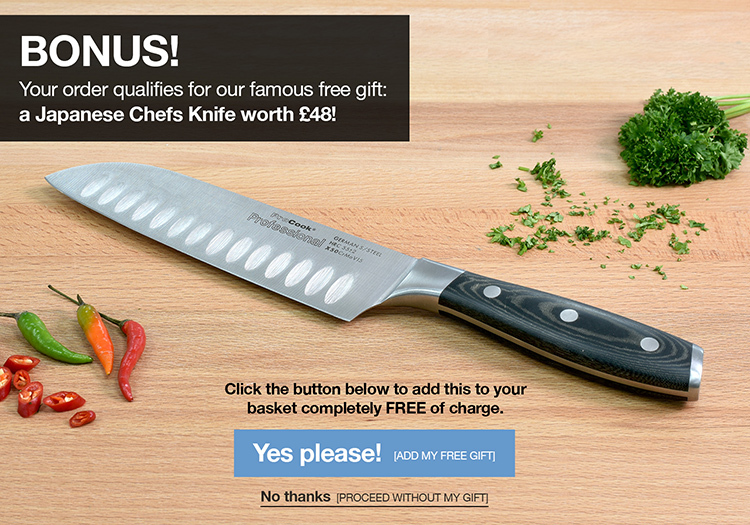 The 5 piece Gourmet X30 set includes a 9cm paring, 13cm utility, 15cm chefs, 23cm bread and 25cm carving knife. The set comes with a practical canvas knife wrap which enables you to store your knives in a safe and compact way. Featuring triple rivet handles and full tang construction, each knife in the ProCook Gourmet X30 knife range is stone ground for a super-sharp cutting edge and crafted to our proven specification with a specially designed contoured handle for maximum comfort and grip. The composition of the stainless steel from which the knives are made is referred to as X30Cr13 denoting the use of X30 stainless steel, containing 0.3% carbon to ensure a non-brittle blade and 13% chrome for high resistance corrosion and anti-tarnish. 10-year knife guarantee - 1 year knife case guarantee - ProCook design, manufacture and supply innovative quality products and cut out the middleman to bring you unbeatable prices.